Toyota Australia's Product Design team rolls out the first-ever Toyota 86 Shooting Brake Concept car. Will it reach production? While it won’t likely ever reach production, the design chief says he would love to see the Toyota 86 Shooting Brake roll off the assembly line as a production model. The Toyota 86 with a rear hatch is unusual for sure, and Toyota’s Australia Product Design team had fun designing the 3-Door concept version of the 86 sports car. The design team didn’t touch the front end of the 86, and just remade the back with a rear hatch with more rear head room and luggage space. Toyota 86 global chief engineer Tetsuya Tada says, Toyota wanted to gauge reaction to the concept, although it was conceived as an internal design study and there are no plans for production. Tada did say he likes the idea and would love to see it reach production, but it’s unlikely to happen. He says, "While we never say never, and I would love this concept to become a production reality, it is very much a concept that demonstrates the passion within Toyota for cars that are fun to drive." Subaru and Toyota would need to agree to build the 86/BRZ with a rear hatch which is unlikely to happen. The BRZ/86 was a joint collaboration between Subaru and Toyota, but this new concept was strictly a Toyota venture. Back in 2013, Subaru also tested reaction with the Cross Sport Design Concept they brought to the Tokyo Motor Show. It was a concept that hinted at a shooting brake version of the BRZ. Nothing ever came of the hatchback BRZ idea. 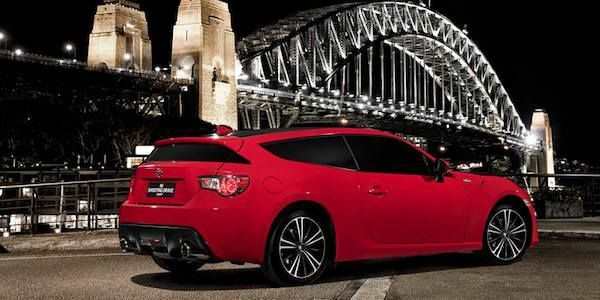 The idea for the Toyota 86 Shooting Brake was hatched after Tada saw a one-quarter scale shooting brake clay model during a visit to Australia in November 2014. Tetsuya Tada liked it so much, he arranged for his takumi prototype design team to hand-build the Shooting Brake concept based on the Australian design. The Toyota 86 Shooting Brake was hand-built in Japan under the direction of the global sports car division. Toyota says the concept sports car is fully functional, driveable, and was “put through its paces” on Toyota test tracks.